Our innovative peer-to-peer lending platform makes it quick and easy to obtain financing. How to borrow through us? Fill out our online loan application within minutes. We will review your loan application and reply within 48 hours. We issue you with a Mortgage Offer Letter and instruct valuation. 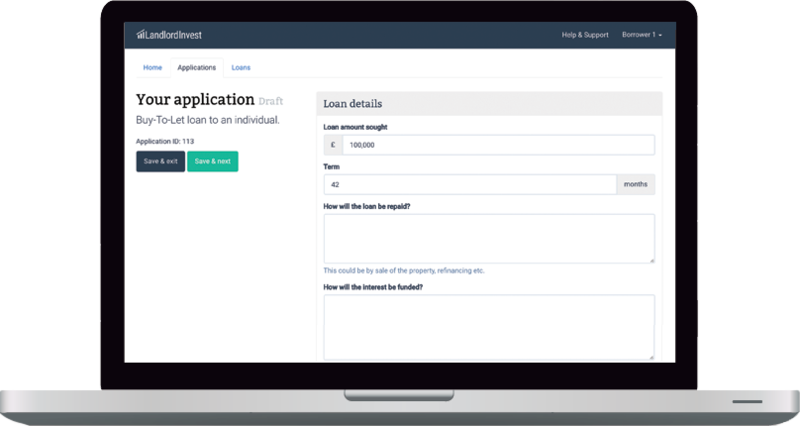 Your loan is listed on our marketplace and gets funded. It's simple, quick, and you can receive funding within 2 weeks.